Our Clinic at Thomson Medical is Relocating! Home Event Our Clinic at Thomson Medical is Relocating! 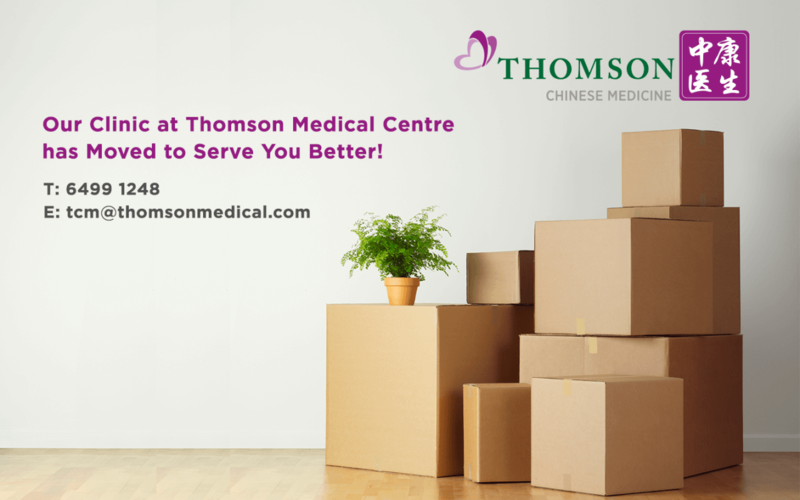 Thomson Chinese Medicine is upgrading to serve you better at our new premises! Our clinic at Thomson Medical will be relocated from 25th July 2016 onwards. We are located at Balestier Hill Shopping Centre, #01-346/346A, opposite Thomson Medical Centre. Our physicians are dedicated to helping you achieve holistic health and wellness with our comprehensive range of TCM treatments and services including: fertility, confinement care, internal medicine and pain management. With effect from 25 July onwards, please call +65 6499 1248, or email us at tcm@thomsonmedical.com to make an appointment.